Noticed this article in the Toronto Star today, not about Caledon but interesting article about Wild Turkeys which we have many all over Caledon, Ontario. Wild turkey is one smart bird Chefs head to the country to hunt elusive fowl, but wiley creatures prove difficult to catch By: ivy knight It is still dark at a farm near Cobourg when three men, decked out in full camouflage, set out with their decoys. "You have to wear full camouflage" one of them explains as he pulls a hood down over his face, leaving only his eyes and mouth exposed. "Their eyesight is incredible." 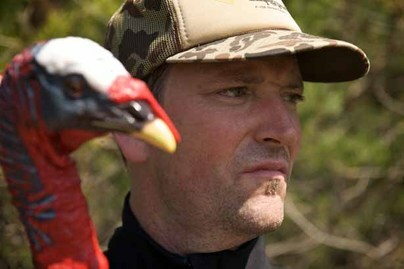 Sous-chef Chris Wiseman is referring to wild turkeys, of course. He and grill cook Nick Bentley are experienced hunters and they've joined Anthony Walsh at Walsh's family farm. Walsh is executive chef at Canoe and also oversees all of the Oliver & Bonacini restaurants. He often heads to the farm with some of his staff in tow. He holds impromptu lessons, getting cooks to make fresh pasta with eggs laid only minutes before, or heading out to forage edible plants from along the creek-bed, and sometimes setting the alarm for 4 a.m. to go hunt wild turkeys. Contrary to popular belief, the wild turkey is not a stupid creature. "They are nothing like the domesticated bird. They're extremely smart and very cautious. The first one I ever caught came after five straight days of hunting and not catching a thing." Bentley says. Wild turkeys were pretty much wiped out in Ontario in the early 1900s through unregulated hunting and deforestation. In the mid-1980s, the province embarked on a restoration program with contributions of wild turkeys from the U.S. Approximately 4,400 wild turkeys were released at 275 sites across Ontario and the turkey population now has exceeded the numbers projected by the Ontario Wild Turkey Management Plan. Patrick Hubert, an avian biologist who worked on the plan, says, "It's a long-term plan ... Hunters have a relatively difficult time harvesting them, turkeys are very wary." The spring wild turkey hunting season runs until May 31 this year. The turkeys nest in the trees and come down in the morning to feed, so the hunter must be `dug in' to his spot well before they wake. The three chefs and their decoys are in place by 4:45 a.m., fully camouflaged and silent save for Bentley's intermittent turkey calls. They return to the farm for breakfast at 8 a.m. with fresh eggs from a neighbouring farm but no turkey. "A damn squirrel gave us away," says Walsh as he fries up hash browns with a few handfuls of tender fiddleheads foraged the day before. "He knew we were there and I could hear him chittering away letting everyone else know it." After breakfast the chefs head back to the woods. "Soon the morels (mushrooms) will be ready. We should be able to harvest a significant amount, around the same time the mousseron will come in," says Walsh. "They're called a fairy ring mushroom," he says of the mousseron, "because they grow in a circle formation. The old stories say that fairies danced in the ring they formed. I just know that when you cook them they taste like fried chicken." Along the creek-bed he points out fiddlehead sprouts that will be ready to harvest in another week. Farther on is a patch of watercress. "This stuff is so peppery, we get it all through the spring and summer, along with trout lilies. They look similar to a wild leek but have a very mild lettuce flavour." His children are often sent out to pick watercress before dinner. "One of the adults always goes along, because there's a big bear who lives around here and the kids are all scared of him. They've named him Big Jack, after my dad." Walsh enjoys being able to bring some of his staff to the farm. "It's nice to see them in a different light and let them see you in a different light as well. They're all crazy about coming here. Soon we'll take them fishing for brown trout." He points out a few tiny trout swimming in the clear creek water. "Some of these kids from Oliver Bonacini have never picked up a fresh, warm egg let alone cracked it and made pasta with it right away. We hunt whitetail deer in the fall. ... We take all the trimmings and make a massive amount of sausage. When we catch wild turkey I like to do it `à la king', with wild leeks and noodles tossed with some crème fraîche and dijon. It's killer." "Turkey has a significantly stronger flavour and you don't want to mess around with it too much because it can get quite dry. I usually cure the legs and then confit them in duck fat. We make a dish that's similar at Canoe but we use domesticated turkey because even if it were legal to serve to customers, we can't plan a menu around wild turkey. They're too damn hard to catch." Posted: May 13th, 2009 under Wildlife. I saw four wild turkeys this morning walking in some underbrush near the side of the road. I can’t stop thinking about how lovely they were – bronze in colour. Actually, I took them for pheasants at first, although they were much larger. Not once have I thought about eating them!! I’m glad they are smart and hard to catch. I would rather see them in the wild than on my plate thank you. Hey D.D. hunting for food is a natural instinct for humans. In fact if it wasn’t for hunting our forefathers would probably be the HUNTED and we probably would have been an extinct species…in fact we wouldn’t be having this conversation. thanks for the comment to allow my response. Early morning on first light 2 Jakes walked right 10 yards of me. Probably could have taken them both with the same shot, but I saw another very large bird 60 maybe 70 yards behind them, so i decided to pass the jakes and wait for the big one. But the big one was not interest in my call neither was he interested in the decoy hen. I observed him for over 3 hours in the mild rainy day on various fields from time to time. Frustrated from the rain and mosquitoes that were all over the place i was thinking now I have to go empty handed again. Out of nowhere the same 2 Jakes appeared again, (i think they were same ones i passed earlier) They saw me i was busted I took the shot at one of them at that range he did not move, and finally I got my first bird. Although did not get the big one but was happy in the end. One in the bag is better than one in the bush.